Q: The rulebook gives specific right or left references. What about left-handed shooters? A: References to “right” or “left” in these rules are given for right-handed athletes. “Right” and “left” must be reversed for left-handed athletes. Q: My shooter went to a competition recently and something did not pass equipment control. He/she has been to several matches with equipment control in the past and has never had a problem. Why is this? A: Some things may have been missed at previous competitions, rules may have been changed or something may have been altered with the equipment. It is always the responsibility of the shooter to have legal equipment. Q: Why is the firing order different in three-position air rifle than in other shooting events? A: When the International Shooting Sports Federation (ISSF) changed the firing order of 3-Position smallbore events (kneeling, prone, standing) the National Three-Position Air Rifle Council decided not to make this change. The firing order in 3PAR remains prone, standing and kneeling. Since many of the competitors in 3PAR are new junior shooters, the council felt that prone should remain first so new shooters can “sight-in” in the most stable position. Q: How come athletes are considered to be “juniors” until age 21 in other disciplines, but not in 3PAR? A: While other shooting disciplines consider athletes to be juniors until age 21, 3PAR is based off of high school (or equivalent) graduation. This is because 3PAR emphasizes team participation, and most 3PAR programs are high school teams or local clubs. The marksmanship skills learned in 3PAR can be applied to the other shooting sports, and opportunities to participate in the shooting sports continue in other disciplines after high school. Q: Can I replace older Crosman sights with the newer sights on the Crosman Challenger? A: Yes, the model #CDPT1 Crosman sight set is now manufactured and sold with the Crosman Challenger. Sights on Crosman challenger’s purchased prior to this change can be replaced with the new sights. Q: I thought sporter air rifles have to be under $600. I have seen them advertised for more. How are they still legal? A: To be an approved sporter air rifle, the rifle must be available at $600 or less—but it doesn’t mean it always has to be sold for that. Often times, manufacturers have special club pricing for junior programs, but sell the rifles for more to the general public. Q: Can I use a mouse pad in kneeling under the left knee? A: In a competition, only ONE shooting mat may be used. If an athlete does not use a shooting mat in prone, a mouse pad (or similar small mat) may be used in kneeling. If a shooting mat was used in prone, then that particular mat may or may not be used in kneeling, but no alternate mat may be used. Some matches require the use of the provided range mats. This would be listed in the match program. In these competitions, alternative mats (such as a mouse pad) may not be used. Q: Can sporter shooters wear ACU pants and or combat boots? A: Pockets or double layers of material are not permitted on shirts, sweatshirts or trousers in any of the normal rifle or position contact areas. So if the pants have a double layer on the knee, they are not permitted. All types of high top boots, including military issue boots are prohibited. Shoes must be normal, low-cut, street-type or light athletic shoes (Rules 4.3.1 and 4.3.2). Q: Do air cylinders expire? 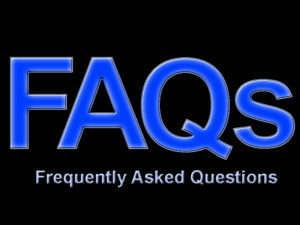 A: Some manufacturers have listed an expiration date (usually 10 years from manufacturing) for air rifle cylinders. There is no rule against the use of expired cylinders in 3PAR competitions. Competitions fired under other rulebooks may prohibit expired cylinders from competitions (such as USA Shooting sanctioned competitions). Be sure to check the match program and rulebook governing each competition. Q: My shooter is unable to fire in one or more positions. Can he/she fire in a different position? A: Every effort should be made by the match staff to allow all athletes to participate—as long as he/she is not gaining an unfair advantage. The rulebook states that a Competition Director must approve all substitute positions. As such, it is often beneficial to bring a doctor’s note stating that a certain position should not be fired by the athlete (such as to avoid kneeling due to an ankle or knee injury). However, the athlete may only substitute a more difficult position, with standing being the most difficult, followed by kneeling then prone. No substitutions can be made for standing since it is considered the most difficult position. See Rule 5.1.4.